College Advising Corps is hosting an eAdvising webinar on Wednesday, March 20th! Join CAC at http://bit.ly/2O3JE8h at 4:00 PM EST. 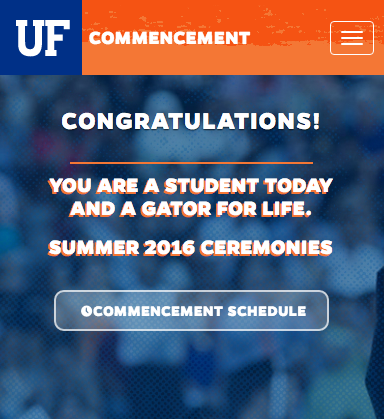 If you have questions, please email Program Director Theresa O’Donnell at theresa@advisingcorps.org. Visit https://advisingcorps.org for more information. The College of Education would like to invite you to attend its 4th Annual Research Symposium. Dr. Sevan Terzian will deliver the keynote address and he will be speaking on “Uncovering the Racial Roots of Gifted Education in the United States” at the COE Research Symposium on Thursday, March 21st from 9:30-10:30am at the J. Wayne Reitz Union, Chamber Room. On behalf of the ACCENT Speaker’s Bureau at UF, we are pleased to invite you to ACCENT Presents: Kevin O’Leary. The keynote presentation is scheduled to begin at 8 p.m. on Monday, March 25 at the Curtis M. Phillips Center. Please plan on arriving no later than 7:45 p.m. to check-in at the media table and be seated by our staff. All media attendees must RSVP with the following link by Friday, March 22 at 5 p.m.: https://docs.google.com/forms/d/e/1FAIpQLSc8tcqnTwUVBO1bwckRCRi3nzukgTRCFUvorn-jE8SGdZ0A0g/viewform As per our policy, photographs and video may only be taken during the first five minutes of the event. We look forward to seeing you there! Graduate Student Research Day (GSRD) is an event that is open to graduate students from every college on campus that provides them with the opportunity to present their research and network with graduate students and faculty from outside their discipline. Each year, a speaker is invited to give a talk on a theme selected by the members of OGAP that we believe is relevant to the personal and professional development of graduate students. This year’s keynote speaker is theme is Dr. Jeremy Waisome and the theme is: “Adaptation: Growing and developing in an ever more dynamic world”. TEDxUF strives to connect the bold ideas of both the University of Florida and the greater Gainesville community. 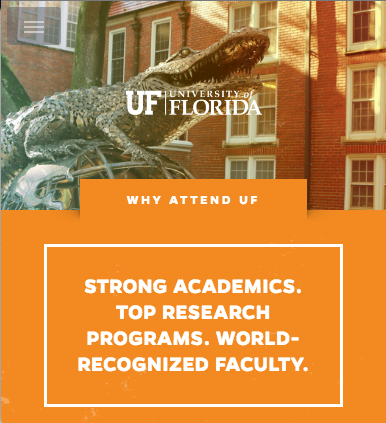 The University of Florida is rising as a current top ten public institution, producing cutting edge research and students entering the workforce at highly competitive levels. In honor of our 10th anniversary, this year’s theme is “Legacy”. This event is free and open to the public, however all attendees must register before the event at this link: https://ufl.qualtrics.com/jfe/form/SV_bvVlN7GuUl4qWxf?fbclid=IwAR0tQLAHcnAQDUj285ppAfm6ARBpkLjOjfjZuhQhfr_ple1wTKCFjuwexyM Registration for our event starts on March 20th at 6pm and will be ongoing until tickets run out. We encourage everyone to do this as early as possible to ensure seating. The Great Florida Teach-In is an annual job fair organized by the Florida Department of Education, Bureau of Educator Recruitment, Development and Retention. It provides a convenient forum that enables educator candidates seeking employment in Florida to obtain interviews with Florida school district and Florida charter school personnel responsible for hiring teachers. To register as a candidate for this event, please visit http://www.teachers-teachers.com/referral/florida-department-of-education/event/2019-great-florida-teach-in-floridas-statewide-onsite-job-fair-1212. Once you have created your Teachers-Teachers account using the provided link, you will be able to register for the event through Teachers-Teachers.com. 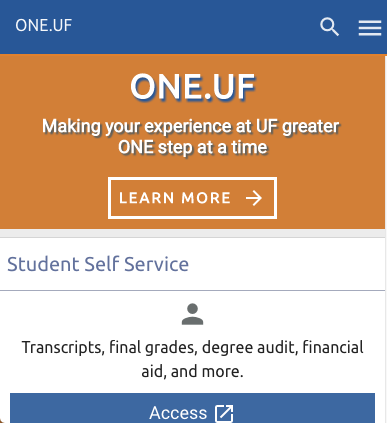 If you have questions, please contact us toll-free at 1-800-TEACH-FL (800-832-2435). RCSCS is a K-8 Charter School in Coral Springs and we are looking for qualified teachers for the 2019-2020 school year. We are having a hiring fair on April 24th from 4-7PM at our school and would love to meet you! If you are interested, but unable to attend, please email Robyn Kaminsky, the hiring fair coordinator at: rkaminsky@recscoralsprings.org. 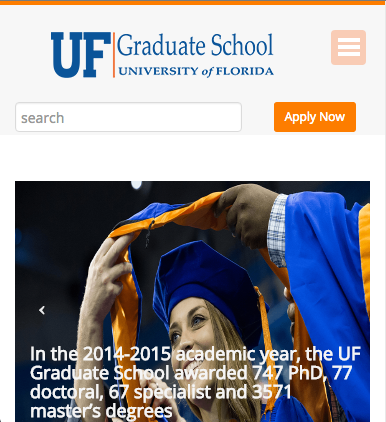 University Press of Florida at UF is seeking interns for the Summer 2019 and Fall 2019 semesters in the following areas: Acquisitions, Editorial, Design and Production, Marketing, and Journals. Our internship program offers students of all majors the opportunity to gain employment experience in the business of book publishing. To apply, students should visit upress.ufl.edu/internships.asp and complete the application form found on that page. The application deadline is Friday, April 12. Tomorrow’s Youth Organization, an American nonprofit working with disadvantaged communities in Palestine, is currently recruiting international interns for a three-month summer internship! The application deadline is April 15th, 2019. This internship, based in the West Bank city of Nablus, offers students and recent graduates the opportunity to gain international working experience and develop professional and intercultural skills. For more information about the internship and application, please visit our Idealist page. The Otis Hawkins Center is looking for an Assistant Learning Specialist. This position is a two-year internship (pending performance evaluation after year one) intended to provide a practical, hands-on experience in the area of Learning Services Support for student-athletes while pursuing a graduate degree at University of Florida. A bachelor’s degree in a related field of expertise such as but not limited to education, sport management, psychology, or counseling is required with a desire to become a full-time Learning Specialist. To apply, please visit: https://recruiting.ultipro.com/UNI1069/JobBoard/b79f8e87-0a19-9864-4adb-f19fc877c648/OpportunityDetail?opportunityId=612b879f-5242-4f52-a77b-e4050ad1772f. This posting will close on March 26th. Dr. Kiran C. Patel High School is hiring for all subject areas for our inaugural staff! We are looking for innovative teachers who want to focus on project-based learning (PBL), a flipped classroom, cross-curricular planning, and blended learning. The school building is to be completed by June 30, 2019 and will have starting student body of 300 students. For more information, please visit: patelhighschool.org. To apply, please visit: https://www.indeedjobs.com/dr-patel-high-school/_hl/en_US?cpref=JXWAtnzf3XWjLOi4YeVNLuV7xMD8uRK8u_3_tUBwYPA. The SERVE Center at the University of North Carolina at Greensboro is a university-based research, development, dissemination, evaluation, and technical assistance center. We have recently been selected to evaluate activities of the Partnerships for Engaged Quality Instruction through Professional Development (EQuIPD), a study funded by the U.S. Department of Education. We are recruiting classroom observers to work on this project in April and May, 2019 with classrooms in Tampa/Sarasota, Palm Beach, and St Augustine. Observers will be trained to use an adapted observation protocol, based on Jeff Marshall’s EQUIP model. Classroom observers will work directly with SERVE staff and be paid for training, and for their observations. Are you interested in working with children and having a fun summer camp experience? Balance 180 Gymnastics and Sports Academy, a local non-profit organization committed to integrating children with disabilities, is looking for college-aged volunteers to join our summer camp. Volunteers work 1-1 or 2-1 with participating campers (ages 3-15 years) in a wide range of activities, such as gymnastics, crafts, and games. Balance 180 Summer Camp will run from July 15 – August 2, volunteers can join in the morning from 8:00 AM – 12:30 PM or in the afternoon from 12:30 PM – 5:30 PM. These times can be adjusted to the volunteer’s schedule. If interested, please email Sanja Dizdarevic at balance180summercamp@gmail.com.